Are you in the mood for a new technology buzzword? CISCO's marketing department is rolling with the term 'Fog Computing'. The Fog is an extension of the Cloud. 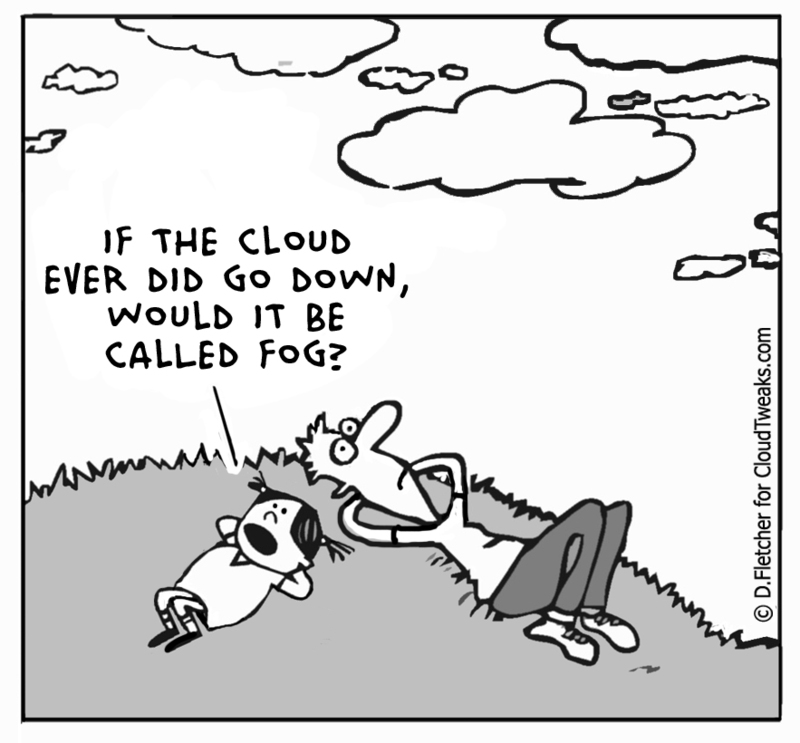 So in Fog Computing, data is stored closer to the devices we use to access the internet. The benefit is a reduction of bandwidth and latency. CISCO routers already live in this grey area between out devices and big data providers. CISCO is adding Linux operating systems to some of their routers, and manage frequently accessed data with a distributed network of these router on the edge of the cloud. Naturally several definitions of Fog Computing mention another buzzword, The Internet of Things. But the concept of caching data nearby isn't new. My paper Smart Technology for Big Data talks about how Facebook caches images close to users based on how likely the images will be accessed. Today's article Forget 'the Cloud'; 'the Fog' Is Tech's Future in the Wall Street Journal reluctantly embraces the new term.